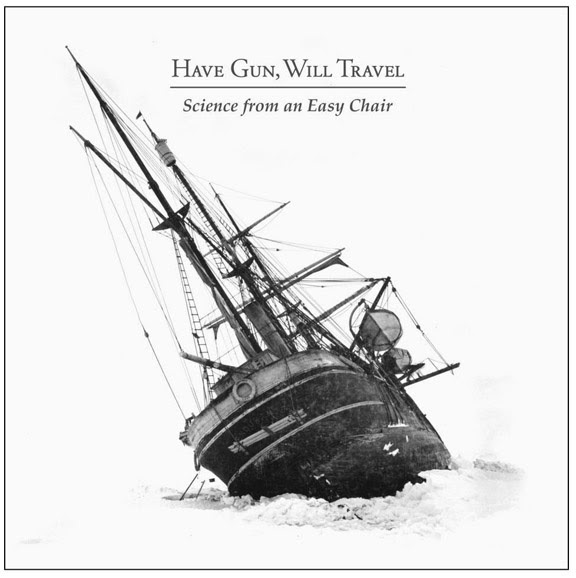 Have Gun, Will Travel are no strangers to making music at this point with several albums under their belt. When you are good musicians who can write good songs you need to keep yourself interested in what you are doing. So what do you do? You write a concept album about British explorer Sir Ernest Shackleton and his 1914 imperial trans-Antarctic expedition on its 100th anniversary of course. Maybe it’s not that obvious of a topic and you can’t really pick that up by listening to the music but it does give it a nice tie-together. The theme gives the songs a certain amount of cohesiveness but it is the very good songwriting that really makes this album worthwhile. “Spirit of Discovery” could be a big radio single if the radio wasn’t filled with studio template garbage. The song is big, catchy and well crafted. It has hooks and doesn’t wear thin on your ears, it is a clear favorite here. The throwback sounds on “True Believers” and others let the country roots of the band bleed through while some, like “True Believers,” morph into all out rockers. The band is able to downshift well too, on “Goodnight Sweet Chariot” the rumble their way through a slow burning track letting the listener focus more on the lyrics. They can even put together a good groove without lyrics on several short intermissions and on the largely instrumental “The Rescue Party” where they find a smooth groove and stick with it. The concept of the record makes it slightly more interesting but the strong songs alone make it worth a listen. This entry was posted in 250 word album reviews and tagged 250 word album review, 3.5 Stars, British Explorer, concept albums, Good Old Shakespeare, Have Gun, Have Gun Will Travel, record review, Science From an Easy Chair, Sir Ernest Shacketon, Spirit of Discovery, The Rescue Party, tribute, Will Travel. Bookmark the permalink.